If you’d like a roof that will outlast a conventional asphalt shingle roof and is made from eco-friendly roofing materials, consider the products outlined here. Many of them are virtually immune to hail. Green roofing products are many and varied, ranging from recycled-plastic shingles to recycled-metal roofs to sustainably harvested or reclaimed wood roofs. The best option for your home depends on the design of your home, local building codes, and price considerations. Among the most popular — and perhaps the “greenest” — of all roofing products are shingles made from recycled waste materials, such as plastic, rubber, or wood fiber. Some products are made from clean post-consumer waste (waste from homes), others from post-industrial waste (factory waste). Recycled-content shingles are amazingly durable, and they look nice, too. You’d never know they were made from “waste” materials! Recycled-content roof shingles help divert waste from landfills and reduce our need to extract and process raw materials, which lowers energy consumption and reduces pollution. Some of these products are recyclable, too, and many come with amazing 50-year warranties. A few even carry fire ratings that could lower your insurance rates. In many parts of the country, wood shingles and shakes have long been a popular choice among builders and homeowners. Unfortunately, conventional wood shingles are made from old-growth western cedar. Although the amount of energy it takes to produce this product is relatively low, the harvest of old-growth trees is not sustainable in the long run. These shingles are also quite combustible and can no longer be used in areas where there is a risk of brush and forest fires. If you would like to install wood roof shingles and local building codes permit them, consider a product made from reclaimed lumber. The Armster Reclaimed Lumber Co. in Connecticut, for example, makes roof shingles using wood reclaimed from mills, bridges, old water and wine tanks, and a number of other sources. This company acquires old wood throughout the country and makes an effort to process it locally — close to where you purchase the product — to reduce costs and transportation energy. Another environmentally friendly wood shingle is produced by Maibec Industries in eastern Canada. The company harvests sustainably grown (certified by the Forest Stewardship Council) eastern white cedar trees to produce shakes and shingles. These are most commonly used for siding, but they can be used for roofs, if installed according to the company’s recommendations. Slate is a natural material and produces an extremely durable roof tile — one that can last hundreds of years. Several companies offer slate tiles, and one company offers a 100-year warranty, a deal that will expire long after most of us. Mining slate and transporting it to market is an energy-intensive process, but several slate roof tile manufacturers offer salvaged slate and clay roof tiles. Durable Slate in Ohio sells both. Clay tiles also are a highly durable roofing material, although they won’t last as long as slate. Many metal roofing products include at least some recycled material, but one advantage of metal roofing is that it can be recycled at the end of its life. Because metal roofs can last up to 50 years, roofing replacement is less frequent, which means less waste in the long run. They offer exceptional durability and fire-resistance, and they’re ideal for those who want to collect rainwater from their roofs to water gardens (or for household uses). You don’t have to worry about chemicals that might leach from a conventional asphalt roof. Standing-seam metal roofs work nicely as the base for thin-film photovoltaic panels, too. Metal roofs are great in snowy climates because they allow snow to slide off, which prevents ice dams from forming. (Ice dams can damage roofs of improperly insulated homes.) To protect walkways from snow sliding off the roof, you’ll need to install snow bars or a similar device over walkways, garage doors and entryways. Rustic Shingles, produced by Classic Metal Roofing Systems are made from recycled aluminum (mostly beverage cans). The shingles resemble wood shakes and come in 11 colors. MetalWorks steel shingles from Tamko Building Products contain as much as 50 percent recycled steel and are designed to look like wood or slate. Shingles by Zappone Manufacturing are made from either 100 percent recycled aluminum or 85 percent recycled copper. Another recycled roof material is reinforced rubber shingles made from old steel-belted radial tires. The material is coated with ground slate for texture and comes in a variety of colors. A big advantage to this material is a long life and a 50-year warranty, including against hail and other extreme weather. Verify with your local building department that rubber roofs are permitted in your area before choosing this option. Roofing is not a job for the inexperienced. It involves working at dangerous heights — possibly on steep slopes — and lifting heavy materials. Roofing requires a considerable amount of knowledge and skill, too. So, unless you’ve done this kind of work before, are skilled in carpentry, and perhaps have guidance from a professional roofer, this is a job best left to the pros. Read up on safety precautions before you consider doing any roof work, and never work alone. 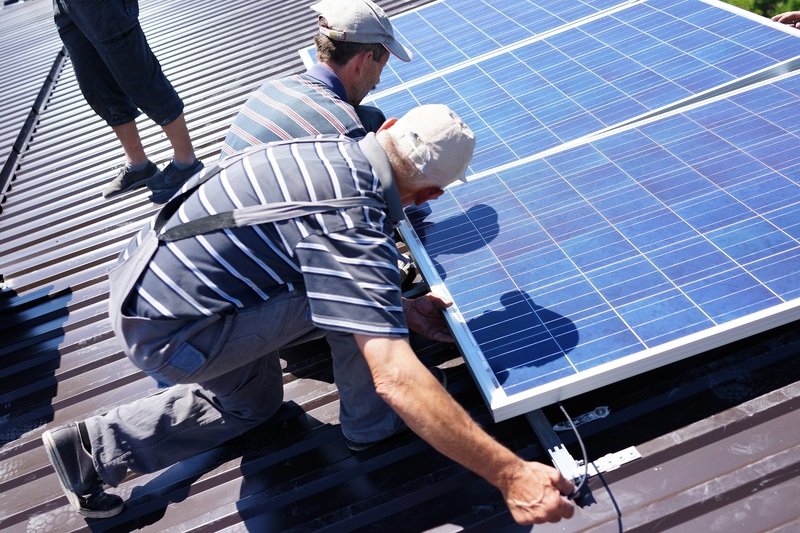 There’s a wide variety of eco-friendly roofing products, so compare your options carefully. Be sure to check the materials’ fire ratings, hail ratings, and warranties. Call your insurance agent to see whether the product you’re considering will qualify you for a discount on your homeowner’s insurance. To re-roof your home, you’ll likely need to obtain a building permit and pass an inspection. Be sure your building department approves the shingle product you’ve selected before you lay your money down! Although the products discussed in this article offer many benefits, they do have some downsides. Some of them are not as widely available as conventional roofing products, so you may have to shop around to find the option you want. Many green building material outlets sell roofing products. Green Building Products: The GreenSpec Guide to Residential Building Materials provides a helpful listing of environmentally friendly products and manufacturers. You may also have to shop around to find a roofing contractor who is familiar with the product you’re interested in using. Some of these products are relatively new to the market and, although they’ve been tested, not many roofers have experience with them. When shopping for an environmentally friendly shingle, try to talk to roofers who have installed it, not just to a salesperson. Also ask your roofing contractor whether your old asphalt shingles can be recycled. Some companies grind asphalt shingles to create products for roadway maintenance and repair. If you’re interested in a slate or clay tile roof, either new or recycled, remember the framing of your roof needs to be strong enough to support the weight of these tiles, which can be substantial. You may need to consult with a structural engineer or with your building department to determine whether your framing is up to the task.